Reviving an age-old debate whether the insolvent, bailed-out zombies GSEs, Fannie and Freddie will emerge from conservatorship, the shares of Fannie Mae and Freddie Mac soared Friday amid reports that the Trump Administration is working on proposal that would likely recommend that the mortgage-finance giants be released from government control as part of a broader plan for U.S. housing finance. According to Bloomberg, Joseph Otting, acting director of the Federal Housing Finance Agency, commented on the administration’s plans at an internal gathering to introduce himself to staff and “establish open lines of communication,” an FHFA spokesperson said in a statement. 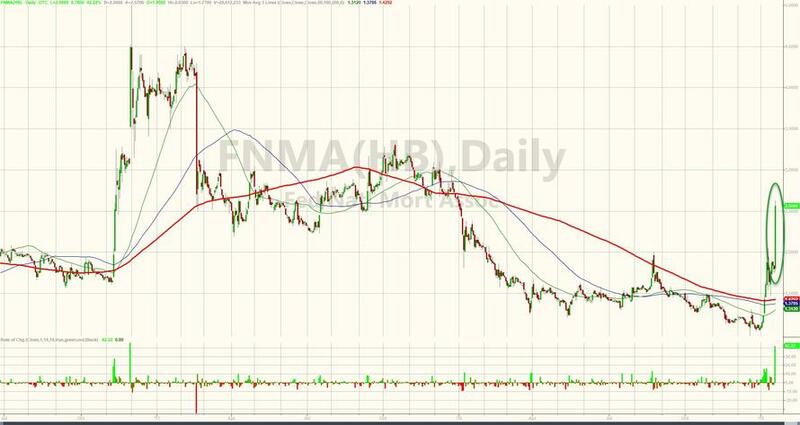 As a result, shares of Fannie rose more than 31% to $2.36 and Freddie surged nearly 25% to $2.26 just after noon. The jump was the biggest since November 30, 2016, when then-Treasury Secretary nominee Steven Mnuchin first said getting the companies out of the government’s grip was a priority. The report will be welcome news to both casual retail investors and activist hedge fund involved with the two companies, which have been under U.S. control since the 2008 financial crisis, as a result of optimism that President Donald Trump’s appointees at the Treasury Department and FHFA will allow them to reap a windfall by ending the conservatorship. 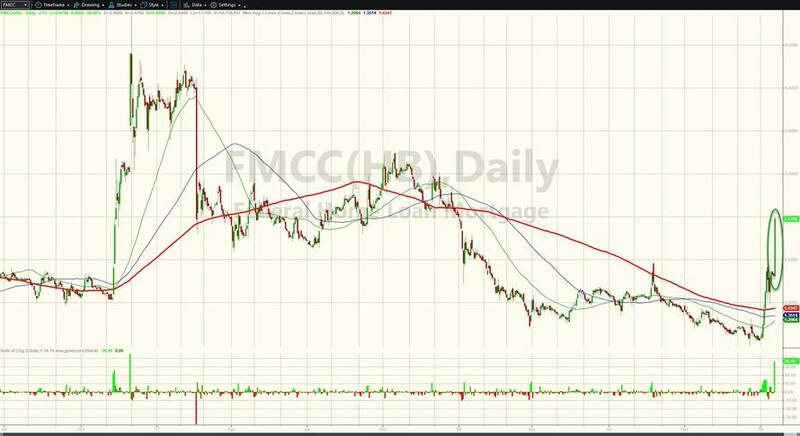 Any potential release from conservatorship of the two bailed out mortgage giants would come at a time when many investors are convinced the US is headed into a recession, which the cynics would say likely means that Fannie and Freddie would be "unbailed out" just in time for them them be rescued by taxpayers all over again when the next financial crisis strikes some time over the next 12-24 months.